The number of email accounts you can setup for your domain depends on your hosting package. 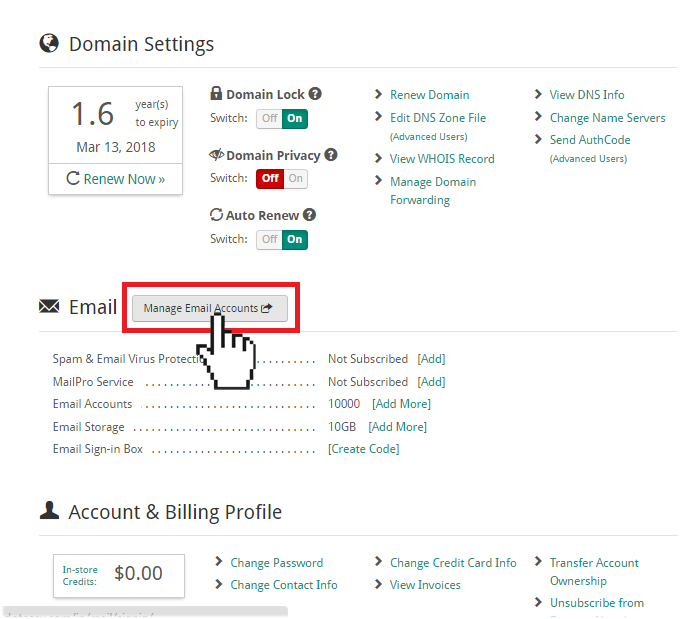 On the Doteasy Starter plan, you are allowed to set up up to 10 domain email accounts. On the Doteasy Unlimited and Unlimited SSD 100 plans, you can create and manage virtually unlimited number of domain email accounts. In this article, we will show you how to create domain user email accounts. By default, when you first signed up for your Doteasy web hosting services, a domain email account is created for you using your account’s main username and password (that’s the username and password you have provided us on your account services signup form). This is your account’s admin email account and it is through this account that you create additional user email accounts. The admin email account doesn’t count towards your domain email account quota. But please do not remove the admin email account as it is needed for administrative operations, such as creating and managing user email accounts. If you have removed your admin email account, please contact us so that we can have it re-created for you. To login to your domain email account, simply login to your Doteasy Member Zone with your account username and password. 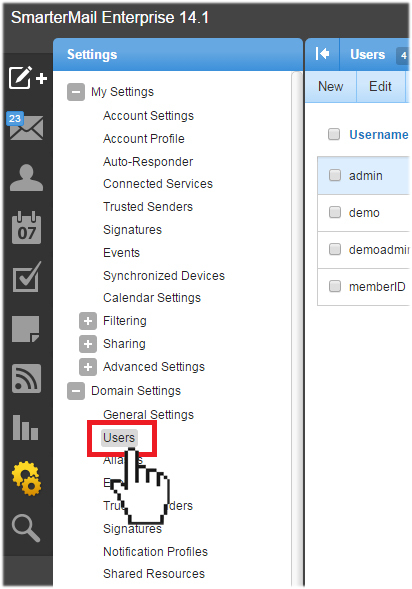 Once you’ve logged into Member Zone, click on Manage Email Accounts under the Email section. 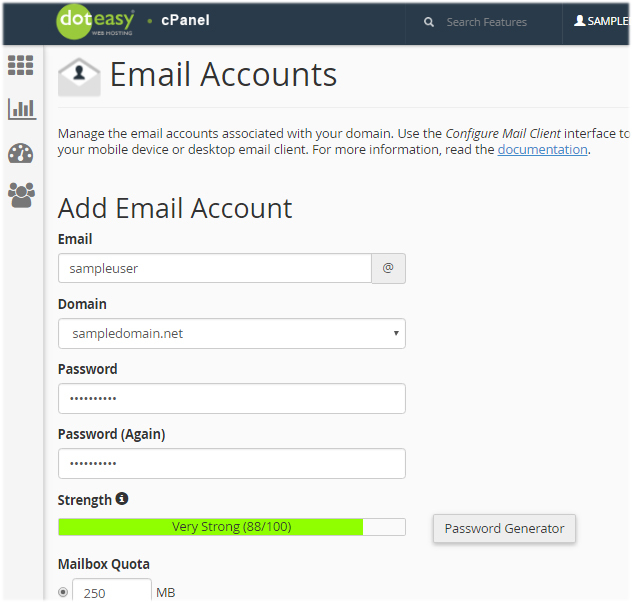 Doteasy offers 2 different email platforms: cPanel and SmarterMail. 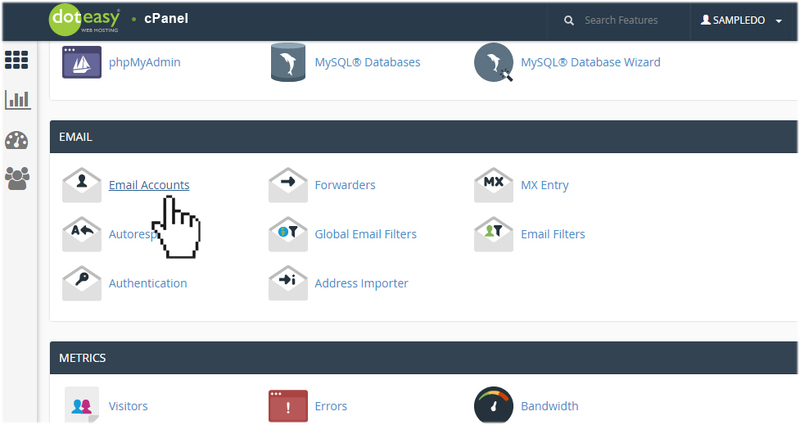 If you are on the cPanel email platform, you will be redirected to your account cPanel. 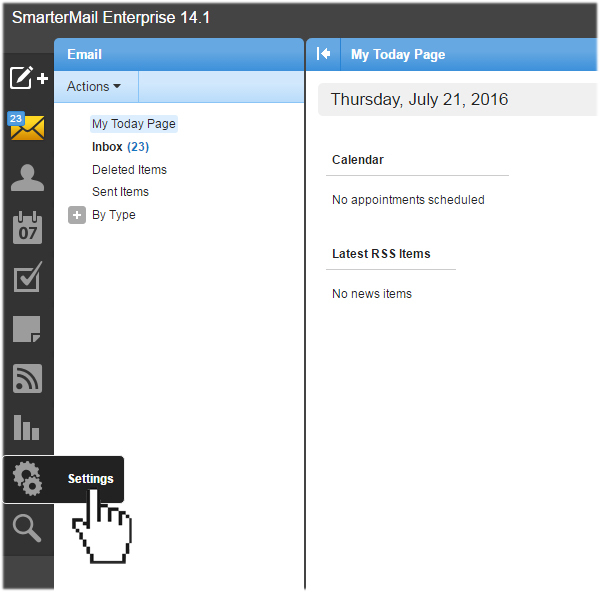 If you are on the SmarterMail email platform, you will be redirected to your admin email account’s SmarterMail webmail interface. Once you’ve logged into your Member Zone and clicked on Manage Email Accounts, you will be redirected to your account’s cPanel. Click Email Accounts under Email. 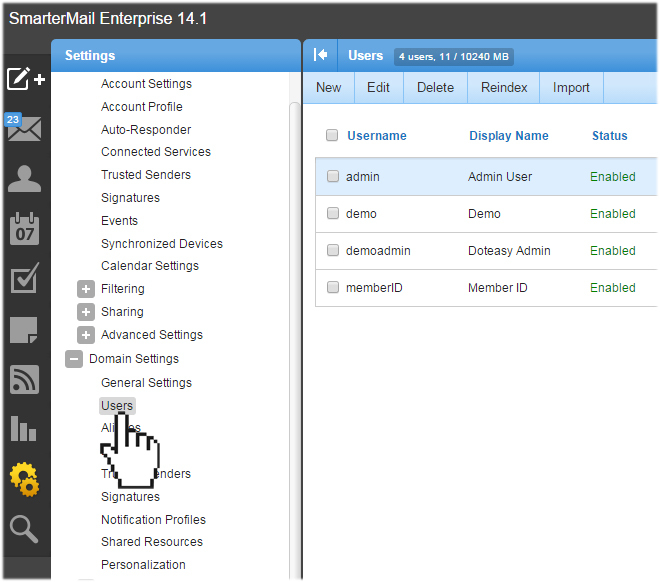 The Email Accounts screen will open and you can proceed to create your new email user account. 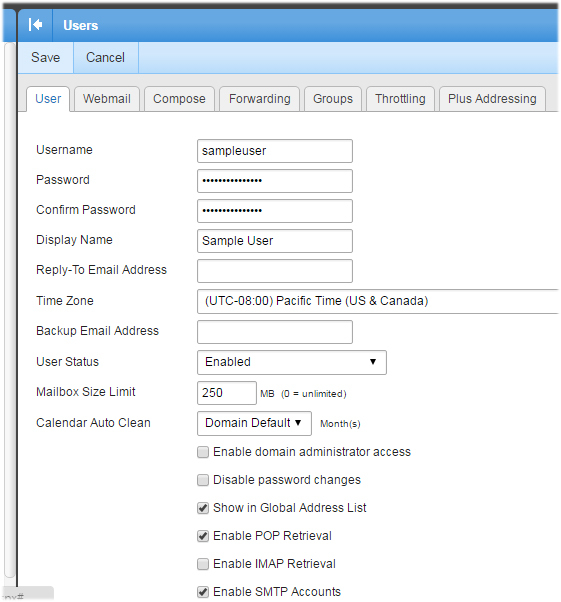 Simple provide the username and password for the new user account and specify the mailbox quota. When ready, click Create Account. 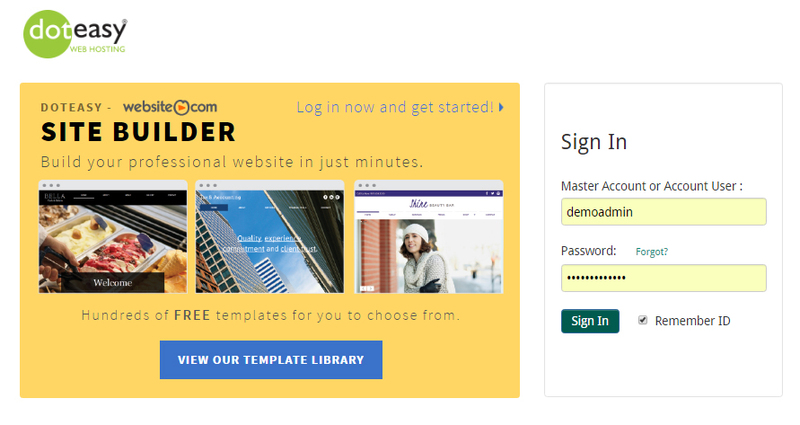 Once you’ve logged into your Member Zone and clicked on Manage Email Accounts, you will be redirected to your admin email account’s SmarterMail webmail interface. From the left side menu, select Settings. From the Settings menu, select Users under Domain Settings. On the email accounts screen, click New. 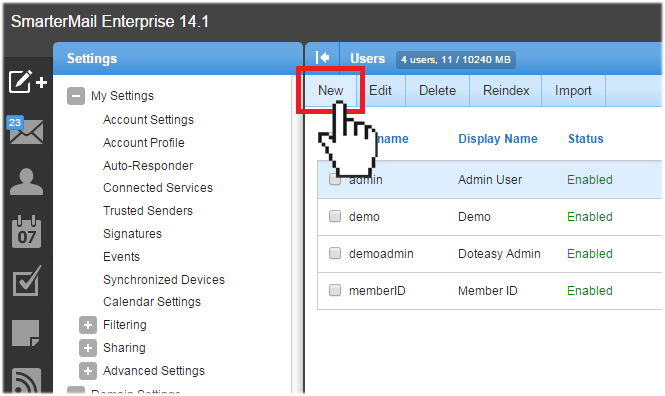 Next, provide the username and password of the new user account you want to create. You can also specify other settings and options, including customizing the user account’s webmail interface and setup email forwarding and more. 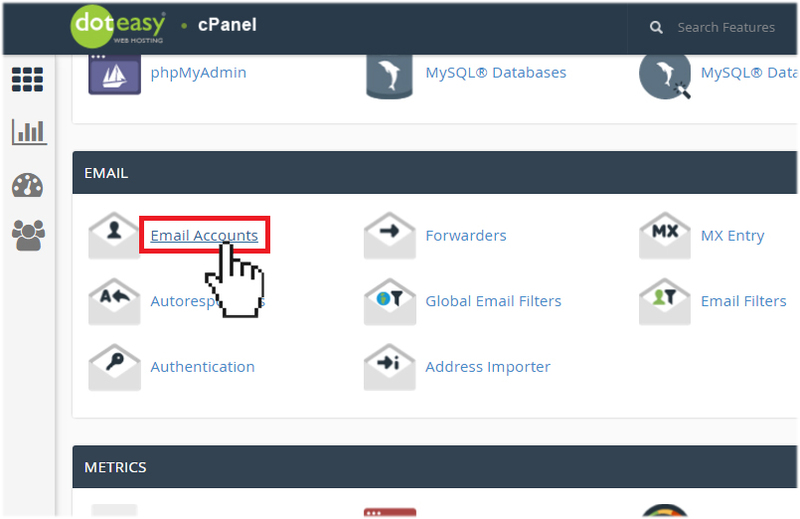 Once you have created your domain user email account, you can log into the account via the Web Mail Login link on the Doteasy homepage. Simply login with the user account’s username and password as you have specified during the user account’s creation process.